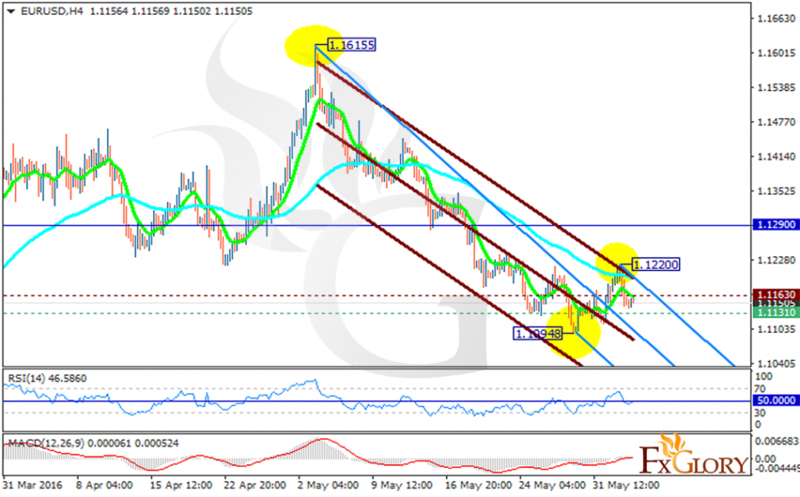 The published economic reports for EURUSD are suggesting price fall for today. The ECB meeting weakened EUR and the Unemployment rate supported USD. This pair will be massively affected by Nonfarm Payroll Numbers as well. Despite this pair effort to create a reversal pattern for the previous bearish act, it could not go beyond the 1.12200 level. Now the support lies at 1.11310 with resistance at 1.11630 which both lines are blow the monthly pivot point at 1.12900. The EMA of 10 is moving below the EMA of 75 with bearish bias. The MACD indicator is in positive territory and the RSI is staying in the neutral zone around the 50 level. It seems that this pair is going to continue its bearish bias within Andrews’ pitchfork targeting 1.0461.